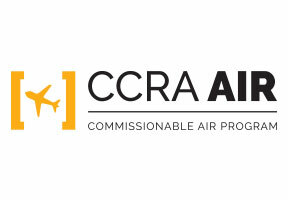 EVA Air is part of CCRA's Air Program. If you're booking EVA Air through the GDS today, consider joining CCRA's airline program to start taking advantage of preferred pricing opportunities. EVA Air is Star Alliance member and a 5-Star airline rated by SKYTRAX three years in a row. EVA Air flies a fleet of more than 70 Boeing and Airbus aircrafts to more than 60 international destinations throughout Asia, Oceania, Europe and North America where gateways are Chicago, Houston, Los Angeles, New York, San Francisco, Seattle, Toronto and Vancouver. With just one easy stop in Taipei, travelers can connect onward to every major city in Asia, such as Bangkok, Ho Chi Minh City, Singapore, Manila, and including 23 destinations in China. EVA Air is the first to introduce Premium Economy Cabin with larger seat dimensions, wider armrests, adjustable leg rests and extra space. Royal Laurel Class, the most luxurious class on EVA Air’s B777-300ER fleet, is magnificently outfitted with cutting edge equipment, extraordinary touch screen entertainment and inflight Wi-Fi system, as well as personal Rimowa amenity kits and comfy pajamas that match Royal Laurel passengers’ outstanding taste.